This week, we're talking with Shannon Cox and Kim Sanders from the Peoria Art Guild's Fine Art Fair. This year, the Fair is starting early, beginning Fridat night at 6pm. As in past years, 130 artists will have works on display and for sale, and full schedules of entertainment and activites for children are planned. Cox and Sanders also talk about some of the demonstrations and hands-on activities that are available. Also this year, the Fair is encouraging attendees to purchase art -- they'll be handing out buttons, and holding a contest that awards winners with $500 toward the purchase of original art. We also talk about the impact the Art Fair has on the local economy, and on Peoria's art community. The Fine Art Fair opens tonight, with hours from 6 to 10pm. It continues Saturday from 10 to 5, and Sunday from 10 to 3. Kim Sanders and Shannon Cox talk with Nathan Irwin about Peoria's Fine Art Fair, which returns to the Peoria Riverfront this weekend with expanded hours and new activities. This week, Nathan Irwin talks with George Stelluto, conductor of the Peoria Symphony Orchestra; and with violinist Catherine Cho. The PSO opens its new season with a concert that includes the "Scottish Fantasy for Violin and Orchestra" by Max Bruch, a piece that incorporates Scottish folk songs. The program also includes the Seventh Symphony by Antonin Dvorak. Stelluto says that the composers represent a trend in the late Romantic era, to draw on the influences of traditional folk music. Our guest this week is William Butler, Exectuive Director of the Contemporary Art Center. Their new exhibit features the work of Detroit artist Steve Prince. 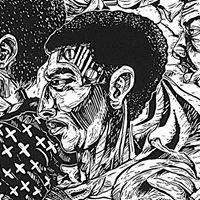 His work includes prints and drawings in black and white, often inpsired by historical and religious themes. Tonight, Prince and CAC artist Preston will be collaborating on a drawing. Later this weekend, Prince will also offer a monoprint workshop on Saturday, and a gallery talk on Sunday. The exhibit goes on display tonight, with an opening reception tomorrow from 6:30 to 8:30 p.m. This week, we're talking with David Commanday, conductor of the Heartland Festival Orchestra. 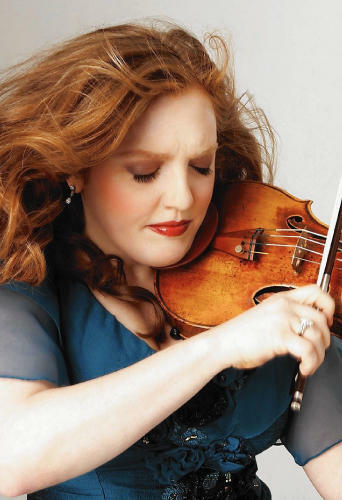 Their 10th season begins next weekend, with a concert that features Brahms' First Symphony, and violinist Rachel Barton returns to perform Barhms' Violin Concerto.